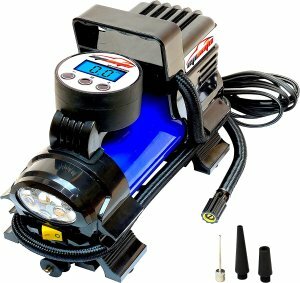 Amazon.com offers the EPAuto 12V DC Portable Air Compressor Pump, Digital Tire Inflator for $34.87. LED FLASHLIGHT: Bright Torch. PREVENT OVER INFLATION: Auto shut off when reaching the desired tire pressure. Overheat protection shuts off automatically when overloading.